Art Deco Inspired Party Dress playing with shapes from various deconstructed blouses. Check out what this is made out of, view before pictures at “Behind the Seams”. 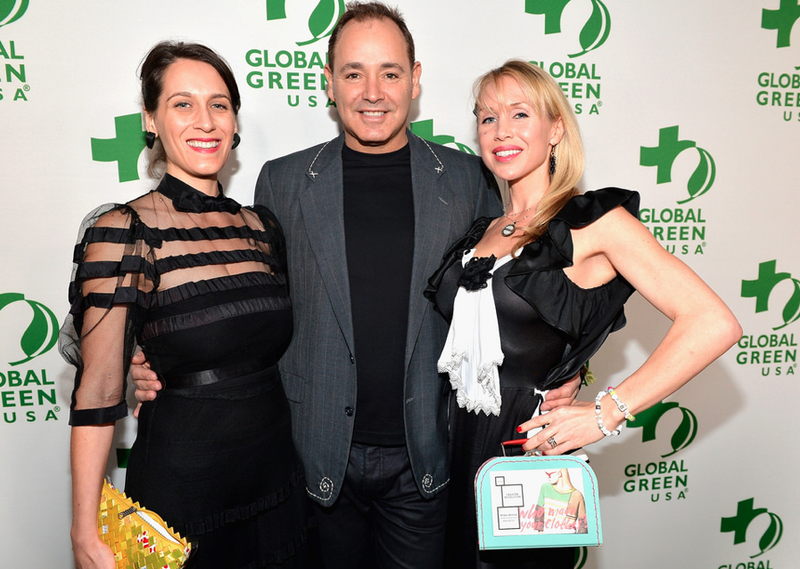 Worn by Janine Jordan (with husband Ken Jordan of the Crystal Method & myself) at the Global Green pre-Oscars.